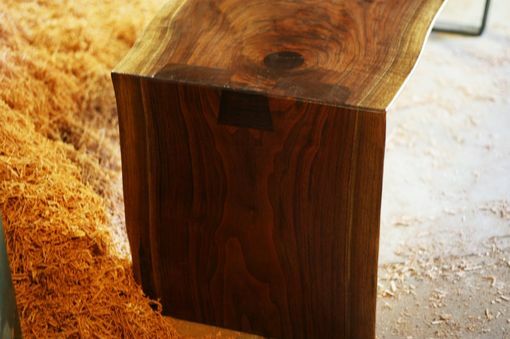 The uniform live edge lends itself well to a bench. Thick walnut, 2 3/4", which was dovetailed and mitered on the end giving it the waterfall appearance and stood on a flat steel welded leg on at the nose giving it a more modern flare. 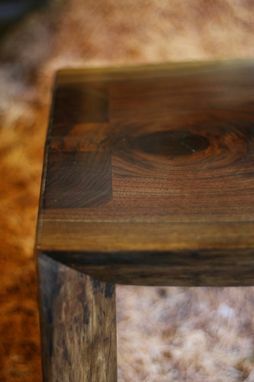 The steel was sanded and painted black to blend better with the dark grain of the walnut. 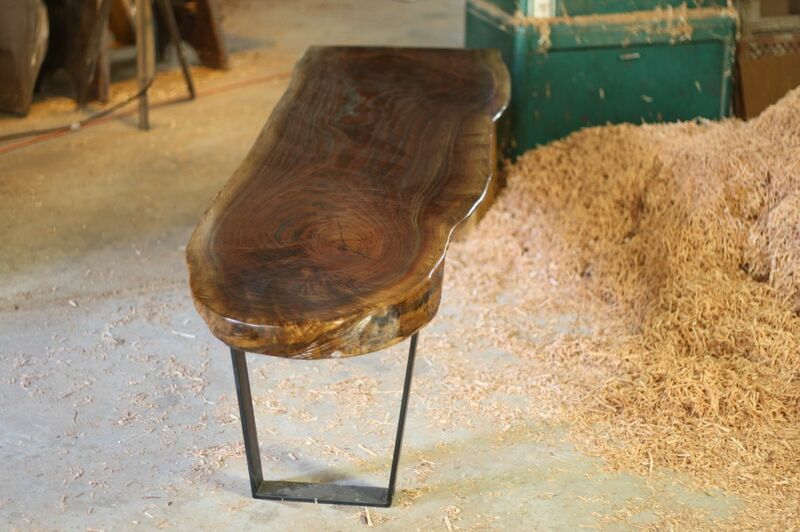 Our Tung oil mix finish and the woods natural beauty make this piece stand out. Heavy, sturdy, glossy.